Resting 11 stories up on top of the Cromwell, the 35,000 square foot Drai’s Beach Club is a fabulous Las Vegas rooftop dayclub that offers a direct view of the famous Las Vegas strip. 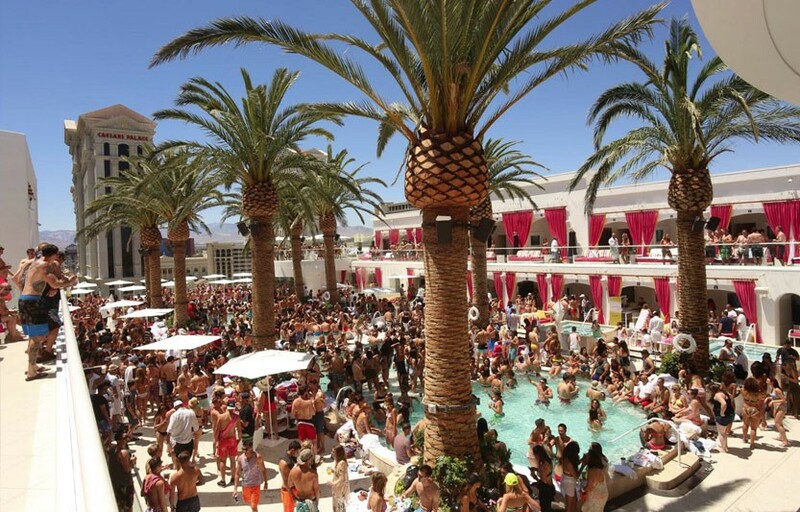 Luxurious, elegant, and a stimulating experience truly bringing definition to Vegas daytime partying, Drai’s has ultimately become one of the most exciting pool parties to spend your day. Featuring over 40 daybeds, 8 luxury pools, and 7 DJ booths, this venue has been complexly designed by industry professionals in the Vegas and Miami nightlife realm. Drai’s Beach Club revolutionizes the day club experience and offers a beach-like getaway unlike any other pool party in Vegas. Up and coming and established artists such as Zeds Dead, Adventure Club, Savi, and Jesse Marco are featured at the day club, playing the hottest trance, house, electro, and Top 40 tunes while you sip on tropical drinks. Drai’s Beach Club in Las Vegas gives day clubbers breath-taking views of one of the busiest and most famous intersections in Sin City. A panoramic partying retreat, Drai’s features luxe designs, state-of-the-art LED lighting, and modern technology systems that are combined to create a multi-sensory experience for all. Sign up on our guest list and take in Drai’s Beach Club during your Las Vegas adventure! Check out our Events Calendar and see what’s happening at Drais Beach Club Las Vegas and view the Dress Code!